Immerse yourself in the world of mobile genealogy and experience the first and only full-featured genealogy application for iPhone and iPad. 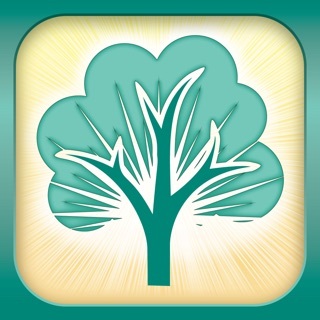 MobileFamilyTree 8 offers all the features you'd expect from a powerful genealogy application – and it's all right on your iOS device. You don't need a Mac or PC – MobileFamilyTree provides the full functional range of modern genealogy software. Nonetheless, MobileFamilyTree 8 and MacFamilyTree 8 (sold separately at the Mac App Store) are able to work together seamlessly and may optionally be synchronized via iCloud. MobileFamilyTree 8.1 comes with the brand new CloudTree feature - it is now possible for the first time to work on the same family tree with any number of users and in real time. All changes to your tree will be transferred and available to all other users invited by you within a few seconds. CloudTree operates in compliance with the highest data protection standards. Create or edit your family tree with the help of our intuitive Interactive Tree or use a wide range of convenient charts and reports to explore even the smallest details of your family history. Take photos or videos of your relatives directly from within the app! You may optionally keep your tree synchronized via iCloud or use the GEDCOM file format to exchange data with almost any Mac or PC-based genealogy app out there. Or try FamilySearch, the world's largest genealogy archive, to do your research right from the comfort of your home - it's absolutely free of charge! - CloudTree Share: Invite other users to work on the same family tree with you. Any changes will be synchronized and available on other users' devices in a matter of seconds. - Numerous report options such as Person Report, Family Report, Kinship Report, Narrative Report, Places List, Events List, Special Features Report, Person Analysis, Anniversaries, Person Lists, Marriage Lists, Plausibility Report, Source List, Task List, Map Report, Descendant Report, and more. - Numerous chart and view options such as the Hourglass Chart, Ancestor Chart, Timeline, Double Ancestor Chart, Statistics, Name Distribution (by first and last names), Statics Maps (based on Apple Maps), Fan Chart, Kinship Chart, Genogram, the three-dimensional Virtual Tree or Globe. - FamilySearch: access the world's biggest genealogical archive with several billions of genealogical records right from the comfort of your home. No additional cost or subscription fees! I am using this app to create a gedcom file for John of Gaunt’s direct ancestors, based on Wikipedia. The file consists on nearly 2000 names. This is the only app for the IPhone that I discovered that was up-to-the-task; thus the 5 star rating. (1) Although the person is correctly displayed at the first possible position, the highest possible ahnentafel number is assigned. The highest possible number is carried forward to subsequent generation, which ends up in a jumbled numbering mess. To overcome this problem, I manually enter the lowest possible ahnentafel number as part of the title. (2) Subsequent positions on the report the above person do not refer back to the first position. If someone has the gedcom file, they can use the electronic file to find the person by name. But with an extensive data base, this severely limits the use of the ahnentafel file as a stand-alone. The following problem is shared by programs written for the computer and IPhone: The ahentafael report can be printed as s hard copy or as a PDF file, but cannot be printed to Word or Pages. As I previously stated, this is the best app that I found for the IPhone, therefore, I recommend it. If it didn’t crash so much. Just bought this app this morning. So this may be a bit premature, but I am simply frustrated. I spent the money on this app and I don’t usually do that. So here goes. Upon seeing this app for the first time and adding a bit here and there, the first problem I ran into was it’s location/mapping addition. It took me forever to figure out that “Place” meant “As general a place as you can imagine”. I was putting in addresses and all it wants is the actual city. I can’t put in the address, but I can put in that it happens in St. Louis City, County of St. Louis, State of Missouri, country United States. If you were planning on plotting actual locations on that map site, like a church, home, or hospital; good luck! The location/mapping addition doesn’t do that. That was a feature that I was really looking forward to, so that brought it down to 4 stars right away. I decided to start entering pictures... this is what brought it down to a 2 star rating. It crashes a good 60-75% of the time I try to add pictures. It seems the first loads up ok, but when you try to add a second one, CRASH!!! Again... and again.... and again. If both of these were fixed, the app would be well worth the money, but right now it’s suspect. If I had to do it again, I would look for another. Who just wants to look at dates? If you can’t add pictures and the mapping function is so limiting, you’re just buying a place to store dates. Thank you for your review. Please download the latest version - we have just released a bugfix update which should eliminate the unexpected quitting you are talking about. If not, please contact our customer support (macfamilyree@syniumsofteare.com) again. I love the app, both the iOS and Mac versions, and I love how they allow me to have a single database on all of my devices. I love all of the features the app offers, but the app runs terribly slow when syncing with FamilySearch and with my other devices. I don’t have too many issues with slow operation on my Mac, but on my iPad it runs so slow it prevents me from being able to use the app until it has finished syncing. Isn’t there something that can be done about this? I can’t even type in something as simple as a person’s name. I would give the app five stars, but I can’t bring myself to do this until this issue is addressed. This is an issue I would learn to deal with, but as this app is not exactly a cheaper app in the App Store, I would expect a little bit better performance for the price I paid. Please fix this ASAP. I would gladly change my rating if/when this issue is resolved. Thank you for your review. While the first sync onto a new device can take some time (depending on your tree's size several minutes), changes should be synched very quickly once the device has downloaded the tree. If it takes longer then let's say 10 or 15 seconds, it would be helpful if you could contact our customer support (macfamilytree@syniumsoftware.com) so that we can have a closer look at it. Thanks!